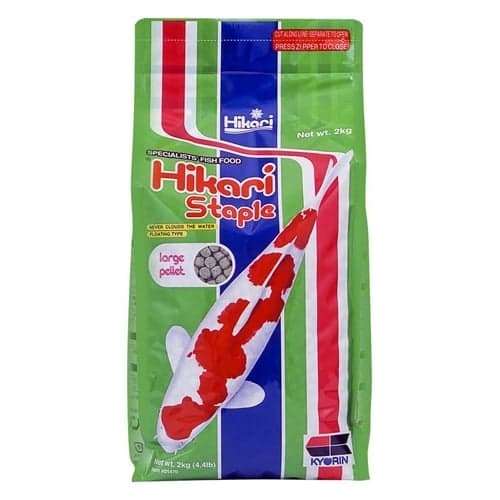 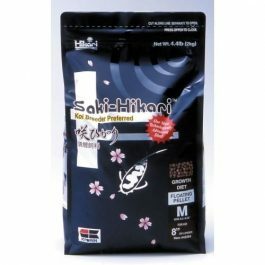 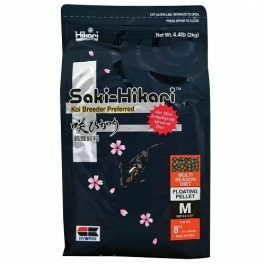 As the name suggests, Hikari’s Staple food line is a solid choice when looking for basic and balanced nutrition for everyday feeding. 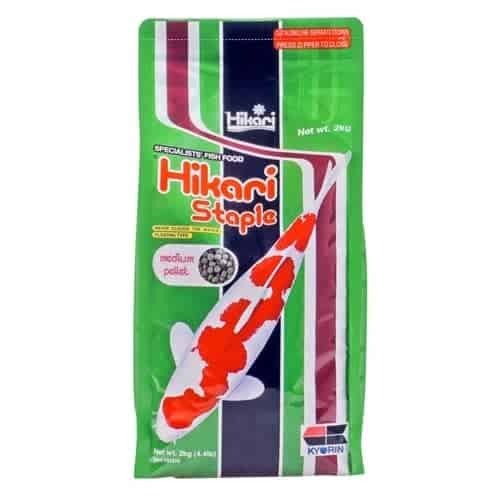 Though this food is not color enhancing it is a good source of vitamin C which will promote a long and healthy life. 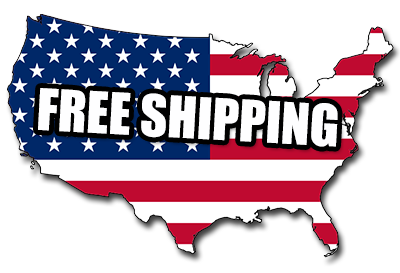 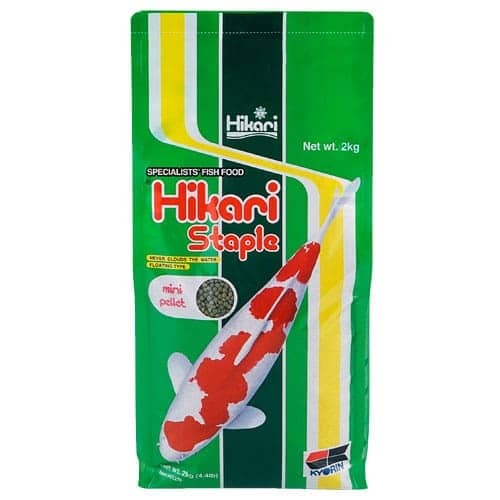 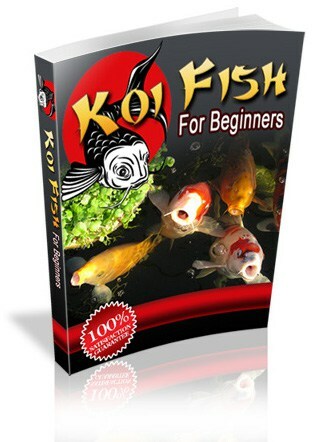 Hikari is a well known and commonly used food brand among pond owners and the Staple line is especially great for those who need well-rounded, daily koi nutrition without breaking the bank. 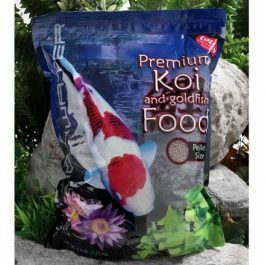 This food is best used for water temperatures over 60 deg. 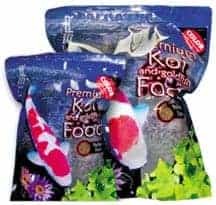 F but for more information on seasonal feeding schedules please see this article.